Love plays an important part in our lives. Countless books and relationship experts talk about love as the panacea for all ills in the world. With the entire existing knowledge on the subject of love, painstakingly researched for this book, it is clear that no one really knows what love is, how it happens or how can it be given or taken. All that is known are the chemical changes that happen inside people in love or how they feel and other non-specific things. Do you know what is love? Do you think it is possible to define love in a definitive and actionable manner? Do you think there can be actionable guidelines on how to give and get love in any relationship? 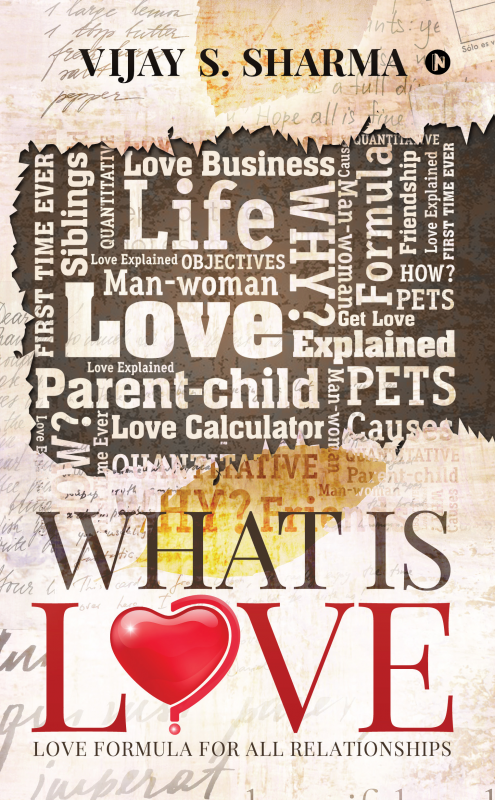 Do you think love between/for Parents-Children, Siblings, Friends, Pets, Causes and Objects cannot be compared? Do you think love will work in business and leadership? Do you think love will work in all human interactions? Do you think love can be measured? Prepare to be pleasantly surprised! Vijay S Sharma lives in Gurugram, India with his family. He has worked in the corporate world at senior most positions for several years. Other than being an author, he is a poet, screenplay writer, actor and director. A Hindi feature film based on his English novel has recently been produced. Both will soon be released. Another book written by him that contains a single poem has been translated into almost 60 languages so far, is also in the process of being published. Vijay is a creative thinker, with focus on finding solution to the issues of mass interest.